in the local shows and enjoy spending time with other walking horse breeders. At the present time we have two yearlings and one weanling. We have five grown mares and one stallion. All these horses are available to purchase. This is sonny. 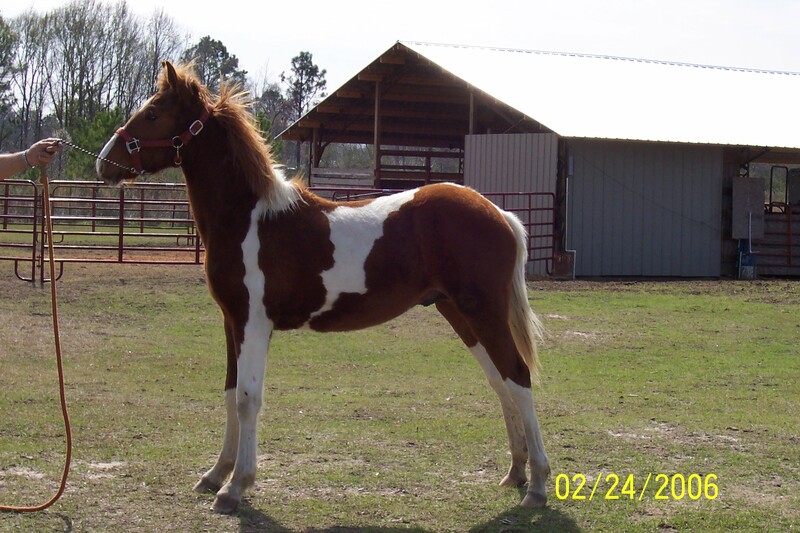 He is a beautiful tobiano gielding. He sustained an injury just after hurricane Katrina in 2005, He is well now but suffered a very bad cut on his front foot. It left him weak in that foot. He is very active and hardly shows any sign of the injury at this time. This is JR. 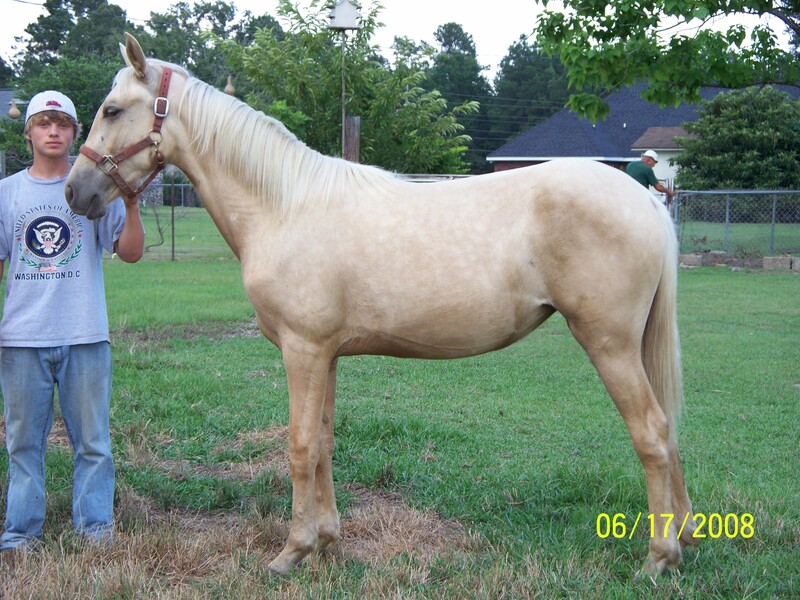 He is a dappled palomino stallion and is sixteen months old. 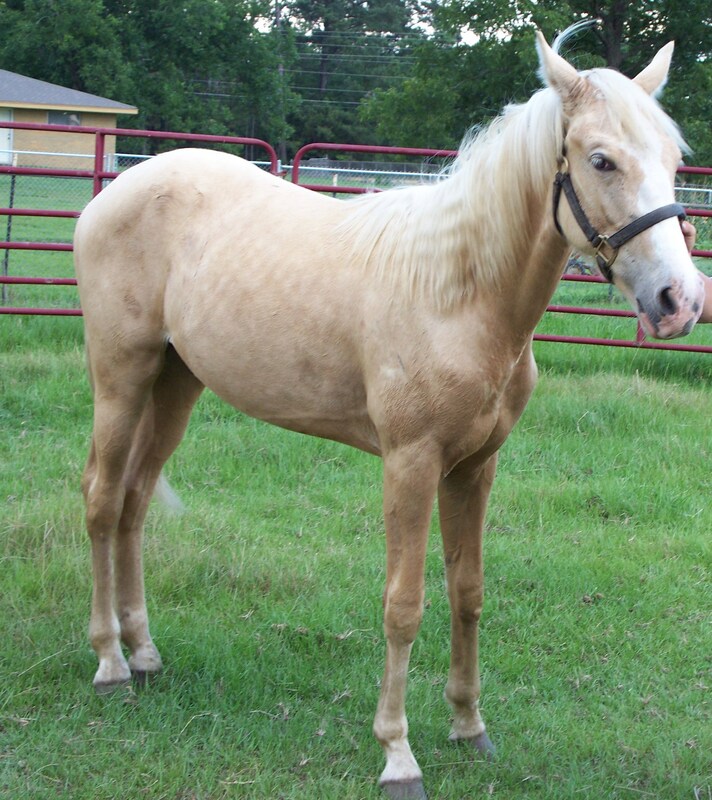 He will lead, stand tied, load and as gentle as you could espect of a colt this age. 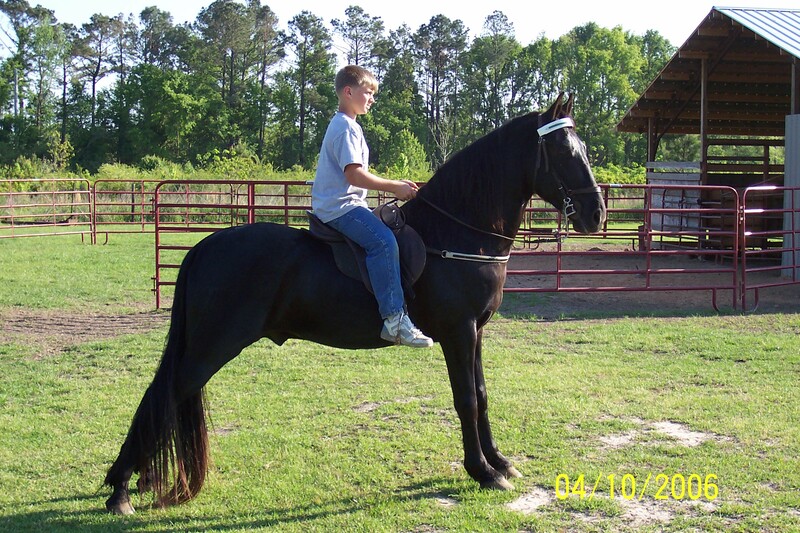 This is "Rocky", our registered Tennessee Walking horse stallion. He is five years old and just a wonderful horse. He is also registered racking horse. He is solid black and just a great horse. 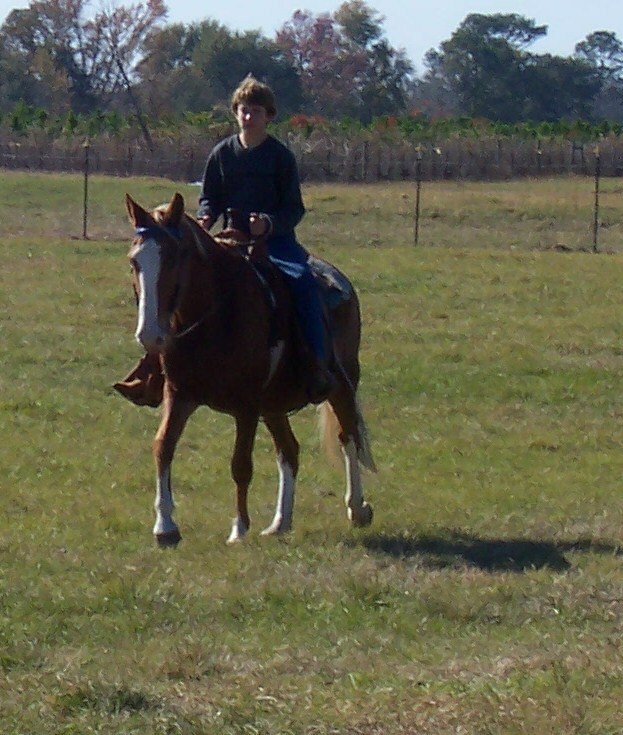 Novice rider coming in off a brief ride in the pasture on our nice walking horse mare. Her name is Dixie. She is a chestnut with mixed mane and tail. Excellent mount for the begginer or for an experienced rider.